During the Great Depression and the two major wars that bracketed it, women’s roles in society changed. Industrialization, immigration and the growth of cities after the turn of the century had brought increasing numbers of women into the workforce, with jobs ranging from waitresses, laundry and garment workers to domestic help. Economic necessity and wartime demands also pushed women into more non-traditional occupations and gave them an opportunity to show off their skills in typically "men’s" jobs. 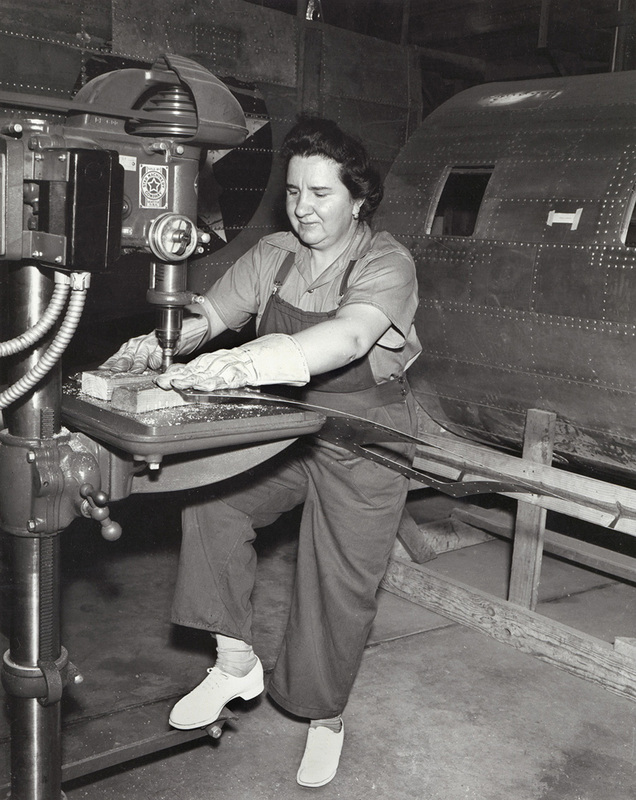 During World War I, Washington women filled in as machinists, electricians, and airplane fabricators; by World War II, they made up a large percentage of the workers in shipyards and industrial plants throughout the state. Many of these positions ended with the war, but women’s skills outside the home could no longer go unrecognized. In the years following the great Depression, more women than ever before joined the Legislature, their traditional focus on reform lending itself readily to service in such a time of need. Women like Mary Farquharson of King County, a former teacher and liberal activist, campaigned for more jobs and offered an alternative to what was perceived as the political opportunism and corruption of the day. After America's participation in World War II, a sense of patriotism also motivated more women to consider political office. If women could serve their country as Rosie the Riveter, they could also serve their constituents as Madame Senator. Women increasingly were accepted as candidates for public office, with the skills to match their male counterparts. Lady Willie Forbus, for example, who was elected in 1941, had been the only woman lawyer in Seattle for many years and served as chair of the Judiciary Committee during her Senate term. Women workers from all over the country were hired to help the war effort, and some were called, "Rosie the Riveter."